The NCAA released its coaches panel rankings and OSU was well represented. 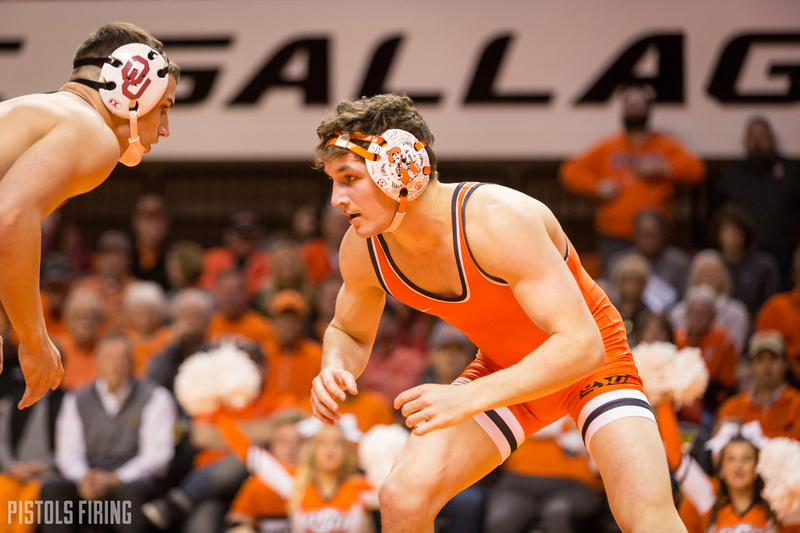 The NCAA released its first Coaches Panel rankings on Thursday and here’s how it breaks out for OSU. So naturally these are the rankings as a fan you should be most concerned with. The rankings from other outlets stir debate and are fun to follow, but this is ultimately what determines allocations and seeds for the conference and NCAA tournaments. A few thoughts came to mind when seeing these. Who knows if this will be the lineup at the end of the season. Preston Weigel is out right now and so is Chandler Rogers. Boo Lewallen has not wrestled since the first dual, but is expected back sooner than anyone. Boo will certainly shake things up, and if Preston comes in he will too. Brock, Shomers, Rogers, Jacobe Smith, and Dakota Geer have the best chance to make up ground. You can see in the rankings that there is more room for them to move up, but for the rest of the lineup jockeying in the rankings doesn’t seem like it would significantly impact their matchups at the NCAA tournament or their likelihood of scoring more points. If those guys can get into the top-8 tier and finish there it would significantly impact the team finish for OSU. The top 29 spots are allocated. Everyone is ranked in a spot where they will receive an allocation for their conference, and if they wrestle to their seed at the Big 12 tournament they should qualify for the NCAA tournament if the RPI and winning percentage factors end up being similar. Shomers is on the fringe though and the Big 12 only has two other guys ranked in the top 33 who are both on the fringe as well with Air Force at 29 and OU at 33. That would mean only two allocations for the Big 12. Every win for Shomers is huge and fans will even want to pull for the other guys in the conference at this weight in hopes that they secure a few more allocations and solidify the Cowboys’ chances of a bid at 157.